Winter weather in New Hampshire is so different than the Northeast Kingdom of Vermont. We don't have endless long days of snow that keep you inside. No days of -20° (-29°C). There is even more daylight here. My plans of spending the dark winter days playing with fractal software never materialized. 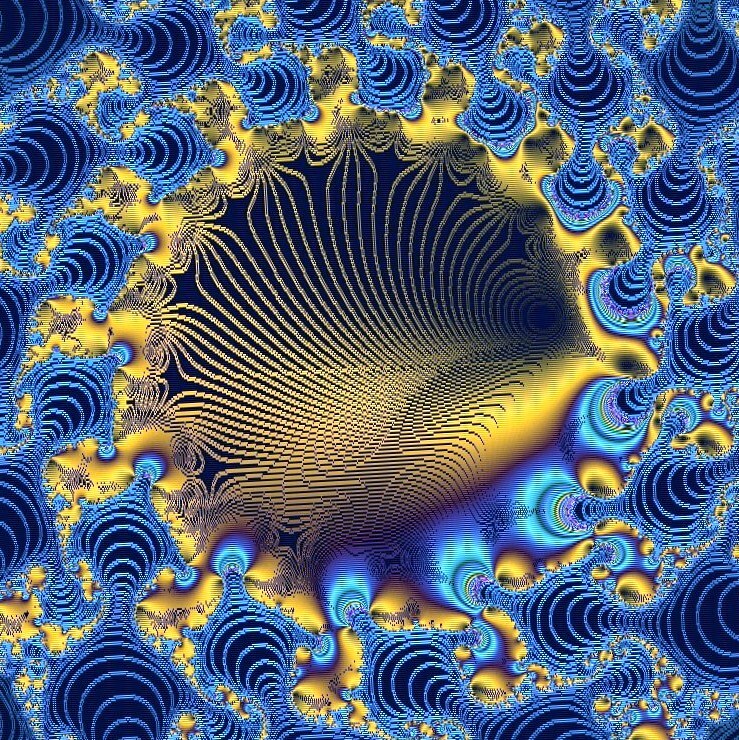 So early this morning, I finally knuckled down and began to learn the XaoS software package for fractals. 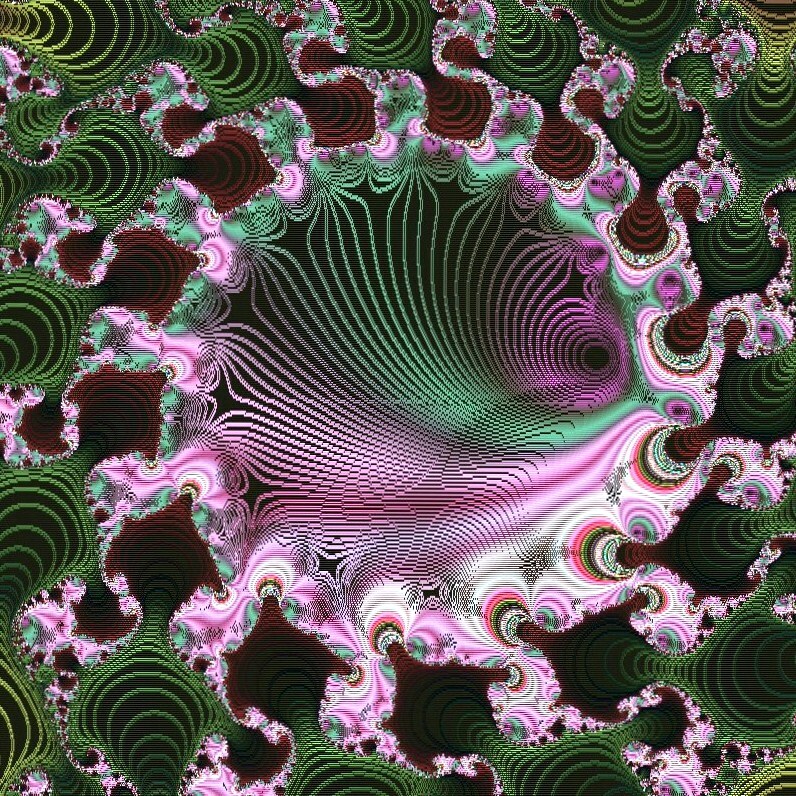 I came up with this fractal in 3 different palettes. I see jagged edges and seams and I'm having problems controlling the fractal on the screen. I also seriously need to figure out how to manipulate Julia set images. XaoS is a gnu project. I like the documentation with that comes with it and its mathematical descriptions are more accessible than other packages. Animation is also available, but I haven't figured out yet how to convert the movie to QuickTime. XaoS is available for Windows, Mac OS X, Linux, BSD and even DOS, BeOS, and OS/2. These images that I created today are, to me, black holes. 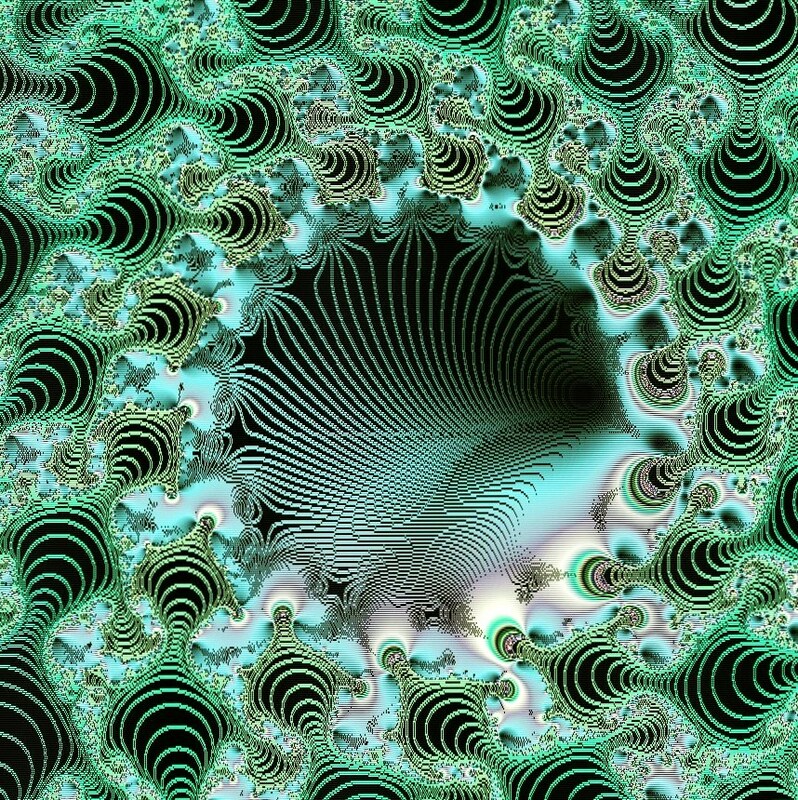 Or worm holes.Visit Mary's Friday Fractal posts here, and here. She has created some wonderful images. WOW! SUPER! These are fantastic!!!!! I don't think I've everr made any quite that magnificent!!!! I just downloaded the program and am fooling with it but probably shouldn't be--have too much else I need to do.